‘Inside Out’ is pure genius. That’s really all you need to know. It’s ridiculously clever, funny and sad all at the same time (you might know it as ‘The Disney Pixar Effect’). Just ask the grown man who was loudly sobbing in the row behind me… you will definitely feel ALL OF THE THINGS. Inside Out follows 11-year-old Riley, as her dad’s new job in San Francisco uproots the family from Minnesota. Helping to navigate Riley through this change are her emotions: Joy (Amy Poehler), Fear (Bill Hader), Anger (Lewis Black), Disgust (Mindy Kaling), and Sadness (Phyllis Smith). Riley’s emotions live in ‘Headquarters’ – a vibrant space with views of amazing islands created by Riley’s core traits eg. Friendship Island. 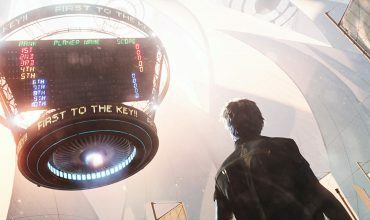 Each of Riley’s memories appear in the form of beautiful spheres which are colour-coded to match whichever emotion was in charge of the situation and sent off to the correct memory banks. Every so often a memory is sent to the very special ‘Core Memory’ chamber and these memories shape the person Riley is becoming and are fiercely protected by Joy. From day one (I literally mean the day she was born) Joy has taken charge. She strives to make all Riley’s memories happy, golden ones. When Sadness suddenly starts touching memories and turning them blue, Joy desperately tries to control her. She doesn’t understand what possible role Sadness could have in Riley’s life. A series of unfortunate events leave Joy and Sadness stranded far from headquarters… only Fear, Anger and Disgust are left in charge (moody teenage-dome begins). The level of depth that directors Pete Docter and Ronaldo Del Carmen (and the Disney-Pixar team) have been able to craft into this animated explanation for the way we think is phenomenal. 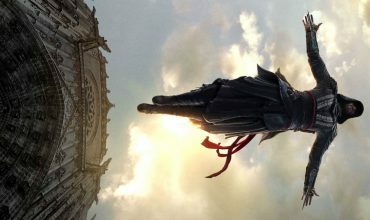 Joy and Sadness journey through all sorts of amazing locations like Imagination Land and the more sinister Subconscious. In the expansive library of Riley’s memories we discover why annoying songs suddenly pop into your head – that had me laughing in that kind of bellowing way that is always embarrassing. We also discover what happens to memories we no longer need and see what becomes of childhood imaginary friends. The funniest moments were often when we got a glimpse of what the emotions were up to in the heads of other people Riley was interacting with. The best example of this is the scene in the trailer where Riley and her parents are at the table having dinner and we get a glimpse of how very differently thoughts are processed by each character. 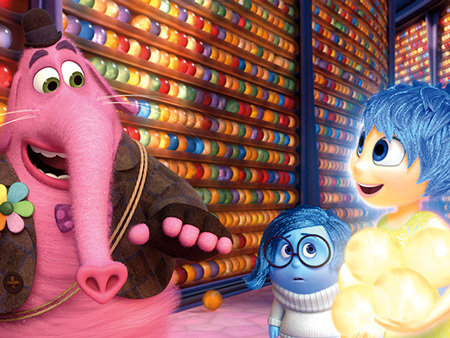 I’m just going to say it… Inside out is probably the best movie (Pixar or otherwise) I have seen in a very long time. At face value it is an amazing feel-good family film. 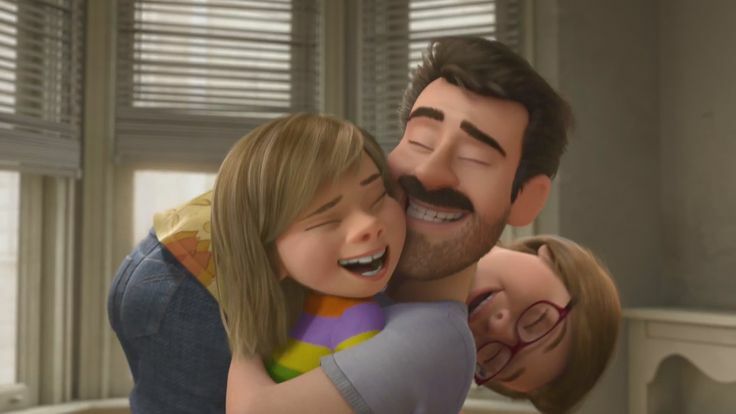 In truth I think ‘Inside Out’ has the ability to teach the young and old alike a thing or two about dealing with emotions and maybe even helping us understand the important role that Sadness has to play.